September 1968 at Olympic Studios, London. Jimmy Page had previously sessioned for Proby on his biggest success 'Hold Me', which reached number 3 in the UK charts. Other sessions soon followed for 'Zing! Went the Strings of My Heart', 'Stagger Lee', 'Linda Lu', 'Rockin' Pneumonia and the Boogie Woogie Flu', and 'Hanging from Your Love Tree'. Due to poor managerial and investment advice, Texan-born Proby was declared a bankrupt in the United States in 1967, and decided to try his luck in the United Kingdom by relocating there in 1968. Members of Led Zeppelin were invited to participate after John Paul Jones had already pre-booked the session as a commitment prior to August 1968. The medley 'Jim's Blues'/'George Wallace Is Rollin' In This Morninˈ', features all four members with Robert Plant playing harmonica and tambourine. 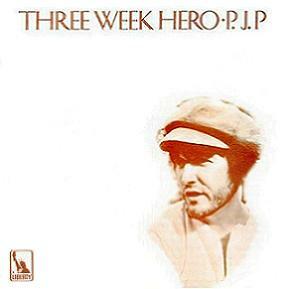 'Today I Killed a Man' reached number 13 on the Dutch singles chart, an American Civil War song ostensibly redirected towards the Vietnam War. Many of the ideas behind these songs would be revisited on the Family Dogg's 1969 album A Way of Life, whose members appeared as backing singers, and this release was also produced by Steve Rowland. The song 'Sugar Mama' recorded by Led Zeppelin at Morgan Studios in 1969, is not the same 'Sugar Mama' recorded on this album. The album was reissued on compact disc in October 1993. ↑ Ian Fortnam, 'Dazed & confused', Classic Rock: Classic Rock Presents Led Zeppelin, 2008, p. 43. ↑ Fred Dollar (2005). Led Zep were my backing band, 83. ↑ Welch, Chris (2002). Peter Grant: The Man Who Led Zeppelin, 62. ISBN 0-7119-9195-2. ↑ Top 100 Singles - 27 December 1969. dutchcharts.nl. Retrieved on 2009-04-20. This page was last modified 15:37, 18 December 2013.